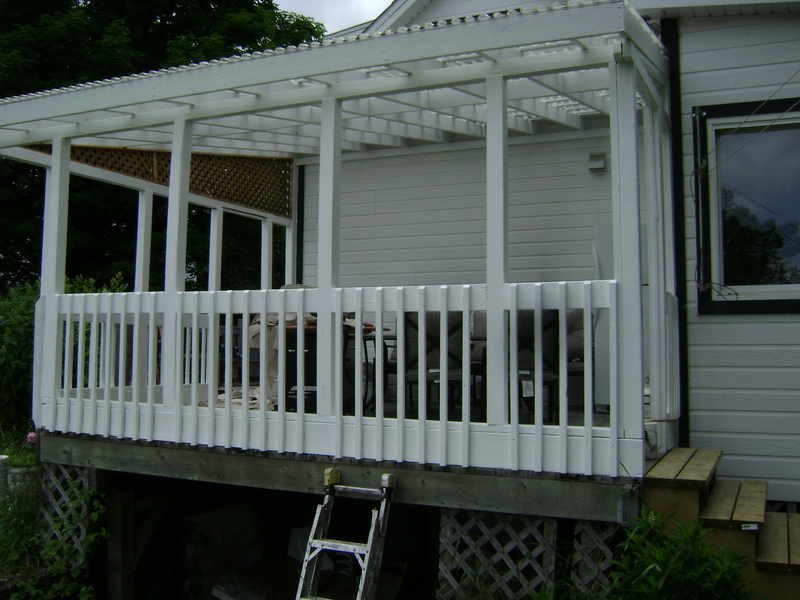 One of your summer paint jobs you might wont to try is painting around a deck, such as the railing, post, and even the ceiling if your deck happens to be covered. 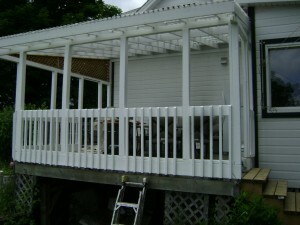 Have seen decks covered with two by sixes every two feet with one by three stripping, and then covered with a corrugated clear plastic sheets designed for roofs. 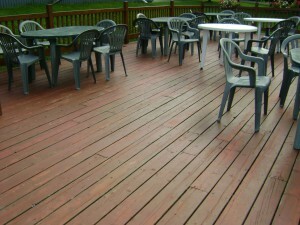 Keeps the deck floor dry and no rotting, plus lets in plenty of sunlight. Probably the least exciting and most time consuming of this job is just getting the wood prepared for painting. Scraping and sanding the railings and spindles certainly take time. Personally I scrape the old loose paint off then use a sanding sponge to smooth the wood out. After that give it a good vacuuming and then your ready for the primer paint. 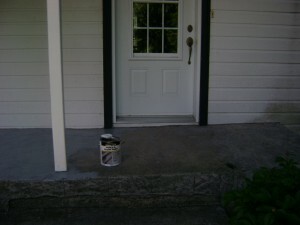 After applying a good primer, and when dry which is usually four to six hours depending on paint and weather the top coat is ready to go on. I would recommend buying the best top coat paint you can find. Apply two of the top coats as it will last longer, and this saves redoing the whole process every couple of years. I have seen lately that there is a top coat with the primer combined, and have tried it a couple times. Seems to cover very well actually, but only problem I find was the price, rather expensive around seventy dollars with taxes for four litres. I suppose there is the saving of not having to apply the primer first. Anyone with experience using a product like this and how long it last, would be curious to know your opinion of it. 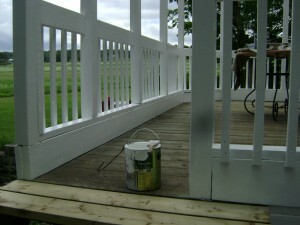 If you are also going to paint the deck, then it will have to be prepared. Scraping and sanding can be done by hand if the deck is not to large, otherwise a floor sander and edger is probably the way to go. Replace any floor boards that are showing signs of rot, and a few screws to any loose boards. Make sure to vacuum real good before applying paint or stain. As there are many different varieties of stains and paints for decks is best to shop around for the best. In our northern climate is very difficult to come up with a paint or stain that will last, and if you know of any let me know. 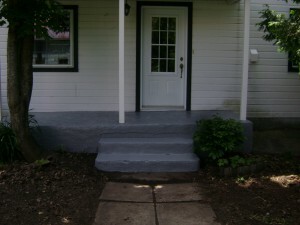 About a month ago I had to paint a cement porch floor. It was originally painted grey so I stuck with that color. There is a special paint for cement so if anytime your doing this be sure to get the right paint, and two coats are recommended, Preparing the surface is the time consumer, scraping with a hand scraper, wire brush or a sanding disc on an electric grinder usually works well. And as always give a good vacuuming to these projects before painting. 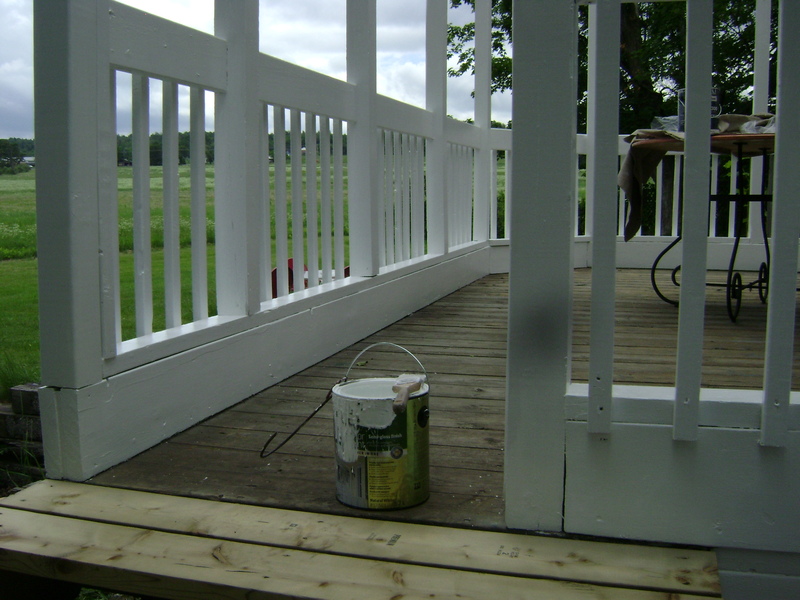 Another thing you might wont to do is to give any post that are around your porches and decks a fresh coat of paint before doing floors. This always seems to give the place a clean look. That’s just a few of the summer paint jobs that might need to be done around the place to keep it looking good. If you have any ideas or questions drop me a comment.